Places to see in Reshi Khola: Reshi is a romantic escape from the din and bustle of the city life. Nestled amidst emerald dense forest and tall grasses beside the gurgling Reshi River, the place truly offers the true essence of nature. You will enjoy angling and bathing in the Reshi river and have your dinner and good night’s sleep beside it. The Reshi River in the moonlit night under the starry sky looks like a silver necklace lying on a green carpet. You would really love your first date with the Reshi River at Reshi Khola. 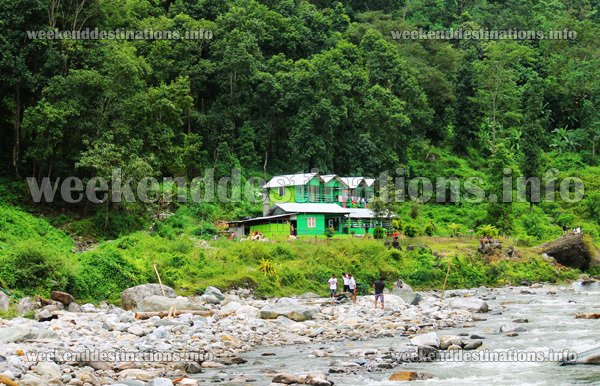 Nearby attractions of Reshi Khola: Reshi, one of the pristine hill stations nestled in the Darjeeling District is located at a distance of 37 km from Kalimpong. However, Reshi is also recognized as the stopover for your journey to Silk Route in India. From Reshi, you can organize trips to neighboring areas like Pedong, Kupup, Aritar and Zuluk. Adventure loving tourists can also experience a trek to Menmecho Lake. Things to do in Reshi Khola: Reshi is an amazing location for enjoying a number of fun filled activities. In day time, you can try your hand in angling and relish your catch, fried deeply as evening snacks. If you nurture an adventurous bent of mind then experience a short stay in the pitched tents. Tourists who are fond of trekking can go for rock climbing and light treks. Moreover, bathing in the crystal clear water of River Reshi is a pleasurable experience. You will also find some exotic species of birds in the location. Tourists also organize picnics at the riverside. 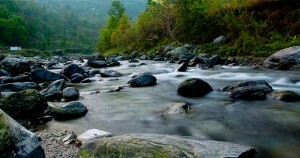 How to reach Reshi Khola: Reshi is nestled on the bank of Reshi Khola, a small stream flowing through the border of West Bengal and Sikkim. 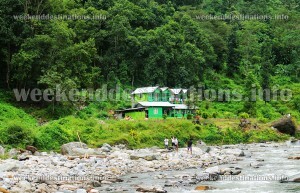 Reshi khola is located at a distance of 105 km from Siliguri and 37 km from Kalimpong. You can avail rented cars from both these places to reach the destination. Pedong is also nearby. 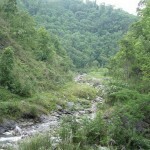 Reshi Khola is also easily accessible from Algarah (21 km) and Aritar (26 km). Best time to visit Reshi Khola: Reshi Khola welcomes guests throughout the year. However, it is better to avoid the rainy season, as the roads do not stay in proper conditions. Lodging and dining facilities in Reshi Khola: Reshi offers a number of home stays, nestled along the bank of the Reshi River in the form of small and cozy wooden cottages. The accommodations offered at these homestays are not super luxurious but quite decent. Moreover, the rhythmic sound of the Reshi River flowing next to the cottages and the unpretentious service of the home mates will enrich your experience at Reshi Khola. The home stays also offer decent dining facilities. Reshi Khola is excellent place. just few month we have visited.